In the time that we have dealt with OGL I have found them to be a very well organised and professional company who cover all aspects of our IT requirements. The support team always resolve any issue I approach them with and working closely with their sales staff has ensured we are at the forefront of technology and security. Choosing our ERP software system – prof.ITplus – is just the start of becoming an OGL customer. During the implementation of prof.ITplus, our customers are allocated a dedicated Project Leader and bespoke training plan based on their business processes, to help them get to know and feel comfortable using the software. 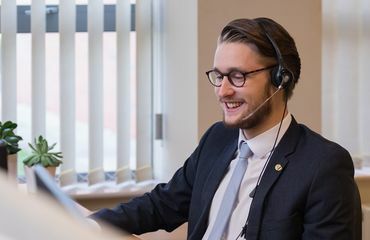 Our customers have access to our experienced Software Support Team, meaning they are never more than a phone call or email away from expert help for issues as they arise. Timely, professional, helpful responses from our friendly team are as standard. We pride ourselves on the high level of customer support we deliver, and fast response times. To ensure you are using prof.ITplus effectively and exploring all its functionality, we can offer Business Process Reviews throughout your time with us to ensure any growth you have experienced since investing with us is being catered for. Ongoing training is also available and can be scheduled around the systems free of charge bi-monthly updates to ensure you are making the most of any new features implemented.